Thursday, April 11, 2019 11:29 AM - Madrid, Spain. The Director of Operations of ENAIRE, Xavier Benavent, has been appointed chairman of the 'Network Directors of Operations' for EUROCONTROL by its Network Management Board. The network is formed of directors of operations for air navigation service providers who are members of EUROCONTROL. This appointment has come at a complex moment, marked by the challenge of safety (the cornerstone of the whole system), the growth in air traffic and capacity, efficient management of airspace and improved punctuality. EUROCONTROL, an intergovernmental organisation with 41 member countries, plays a pivotal role in dealing with the issues of a fragmented airspace within an increasingly globalised and interdependent scenario. The global growth of air transportation calls for consensual solutions among all countries. In Europe, EUROCONTROL has implemented an action plan that includes specific measures, such as diverting almost a thousand flights per day, between April and November, so that traffic flows are reduced in the saturated areas of Karlsruhe (Germany), Marseille (France) and Maastricht (the Netherlands), all of which are facing capacity problems. ENAIRE is actively working to be part of the solution to Europe's air traffic congestion, as opposed to part of the problem. This summer, Spain will take on more than 160 additional flights per day, through 48 new 'overflow' routes. Between June and August, ENAIRE is expecting to manage 660,000 flights. With a view to be in the best possible position to face the high season, Spain's air navigation manager is driving a series of cross-cutting measures across its five control centres, as well as specific measures for each of them, addressing each of their unique aspects and needs. Within this framework, it is joining the 'BCN A PUNT' initiative, promoted by the Ministry of Public Works. ENAIRE's ATENEA office is working to improve operations and capacity in Josep Tarradellas Barcelona-El Prat Airport, in coordination with Aena, the Directorate-General for Civil Aviation and EUROCONTROL. EUROCONTROL's Network Directors Operations Forum is an executive group, formed of the main operational managers in Europe, created to put forward design measures for new flight paths, an interface of flight flows between countries, the availability of operational resources, and other aspects relating to the Network Manager's air traffic management. 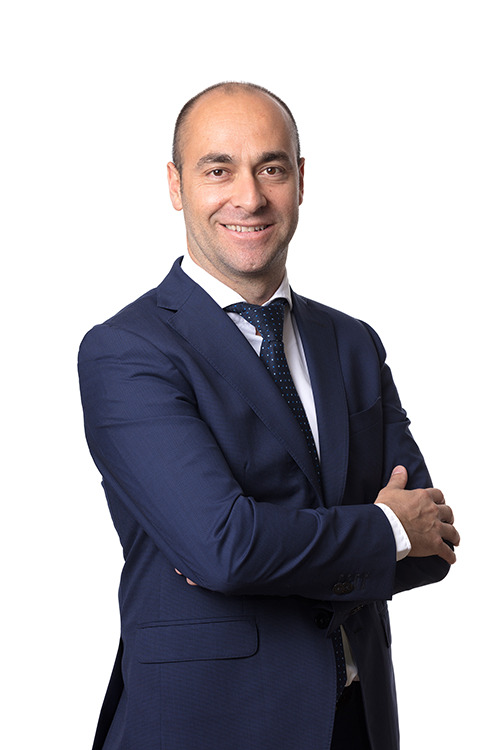 The appointment of Xavier Benavent is endorsed by his extensive curriculum covering more than 20 years of professional experience, incorporating both operations and management. Benavent is an air traffic controller, commercial aviation pilot and telecommunications engineer. He filled a variety of positions in the control tower of Josep Tarradellas Barcelona-El Prat Airport, and in the ENAIRE Air Traffic Control Centre in Barcelona, up until his appointment as ENAIRE's Director of Operations in 2017. As Director of Operations, he is at the forefront of key projects, such as the Capacity and Efficiency Plan, the Strategic Air Traffic Management Plan, and the ENAIRE Flow Tools B2B ecosystem (a predictive influx management tool).